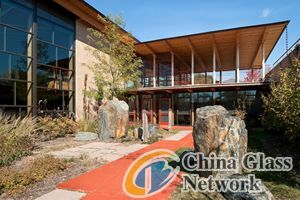 The American Institute of Architects’ (AIA) Committee on the Environment (COTE) named its top 10 green building projects for 2011, and at least three of them featured environmentally advanced glass made by PPG Industries of Pittsburgh. 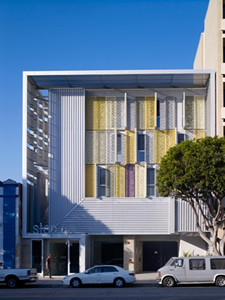 *Step Up on 5th in Santa Monica, Calif., and The Lofts at Cherokee Studios in Los Angeles both feature Solarban(R) 80 glass, a high-performance architectural glass by PPG designed to maximize daylighting, views and natural ventilation. Both buildings earned Leadership in Energy and Environmental Design (LEED) Gold certification from the U.S. Green Building Council. *The First Unitarian Society Meeting House in Madison, Wis., a Frank Lloyd Wright-designed National Historic Landmark, features an addition with floor-to-ceiling walls of Solarban 60 glass. Pure Performance(R) paint from PPG Pittsburgh Paints(TM) also was used in the addition, which earned LEED Gold certification. 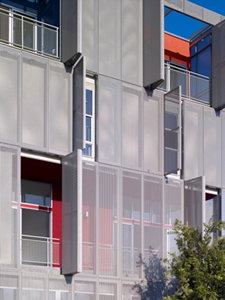 PPG products, including Solarban glass, have earned Cradle To Cradle(R) Certification at the Silver tier. Step Up on 5th in Santa Monica, Calif. The First Unitarian Society Meeting House in Madison, Wis.